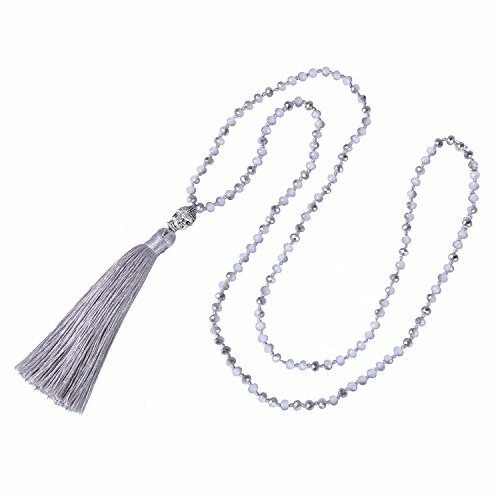 Beautiful workmanship, each bead is hand-knotted, solid and durable rope. The workers take a considerable amount of time have carefully dealt with each necklace, which makes it held up nicely and sturdy. This chic simple necklace looks great with any orther accessories, will add sparkle to any outfit. All our pieces arrive in 'KELITH' Gift Bag, so they are ready to be given as a gift - even if that gift is to yourself! Great for your mother/daughter/sister/friends birthday party, wedding ceremony, or other social events. Please Feel assured to purchase Kelitch Jewelry. We promise free replacement for damaged or defective products caused by non-human factors in 45-days warranty.